LogicialIT has created a great component for Prestashop: It is called 'New Order Alert with Invoice Attached'. The PDF invoice is sent via email to the receiving address. 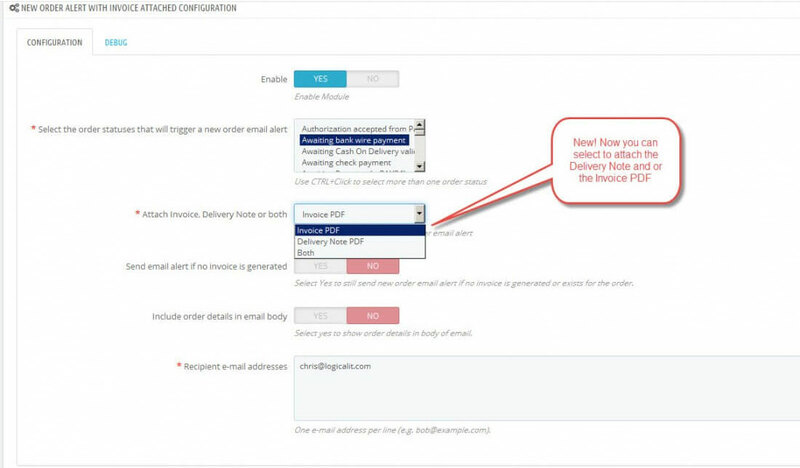 Automatic Email Manager then monitors the email box and identifies the email with the assigned subject and automatically prints the invoices . It has to be connected with a specified printer, however. It is a very useful module for shipping companies and their pdf invoices and also for printing new order invoices automatically from Prestashop. This too helps save a lot of time and effort. About LogicalIT: Logical IT is a web development business based in Adelaide, Australia and started by Chris Fotiou. Through Logical IT Chris aims to deliver professional customer-oriented web solutions at affordable prices. How to setup the extension?